Shaking legs and clammy hands. It must be intense being an X Factor finalist. 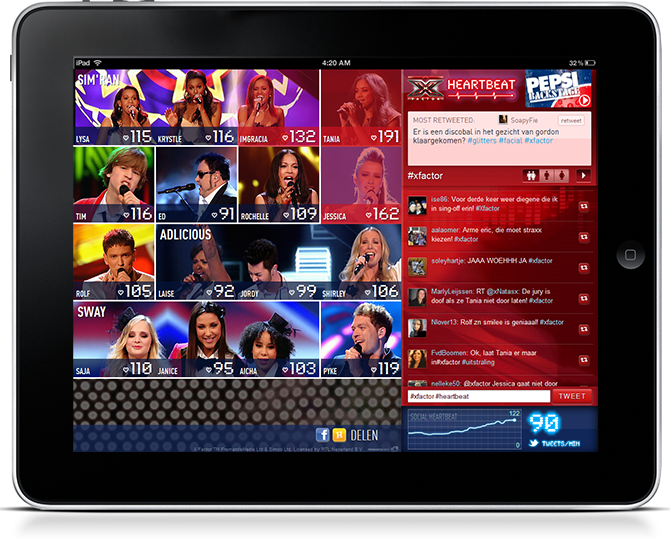 With the Heartbeat web app you can feel the contestants stress and excitement by following their current heartbeat during the live shows. 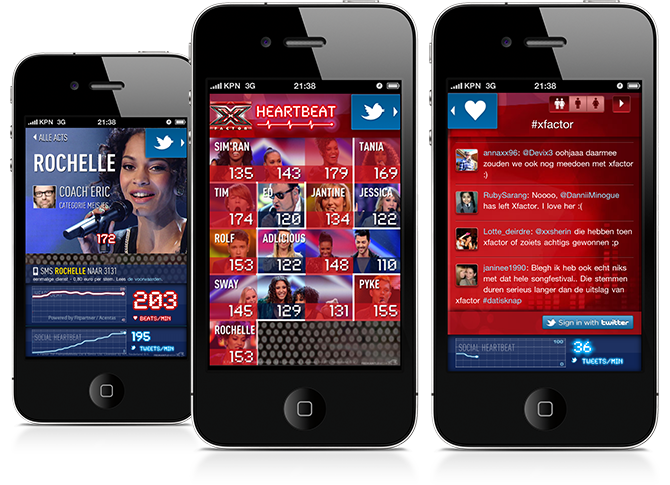 The ‘Social Heartbeat’ reflects on their performance in tweets/min. 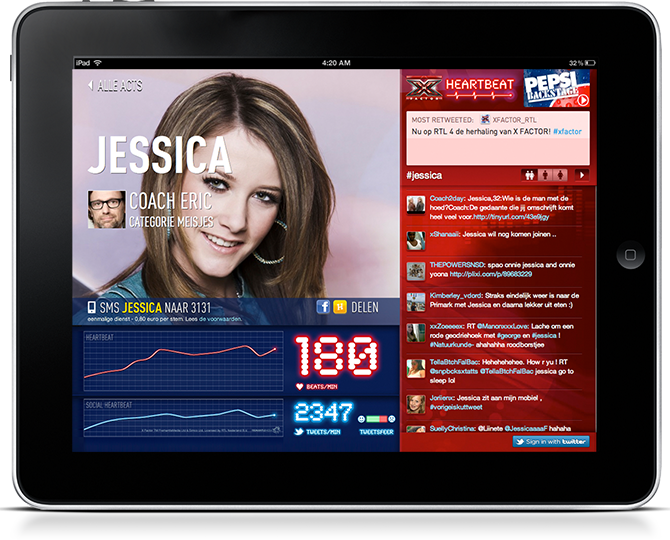 Got the X Factor? 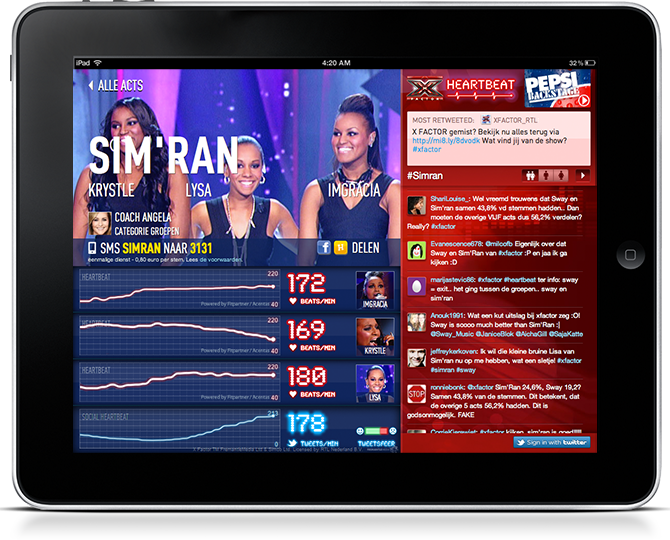 The audience will explode on Twitter!